I really like the procedure of Zoom Advanced, because within an hour, we get spectacular results. The new smile is brighter by 6-8 shades. Before this, we do a thorough, oral prophylaxis i.e. scaling and polishing. You can be assured that this is the latest and most scientifically advanced, ‘in-office tooth whitening system’ available worldwide.The convenience of this method compared to wearing trays and strips over many days, makes Zoom Advanced teeth whitening the perfect choice for busy individuals. Zoom Advanced teeth whitening gel is applied and used with the specially designed Zoom ADVANCED LIGHT. The light and gel work together to gently penetrate the teeth, in order to break up stains and discolouration. With proper care your Zoom sparkling smile can last for years. Extensive research and clinical studies indicate that whitening your teeth under the supervision of a Dentist is safe. In fact, many Dentists consider teeth whitening the safest cosmetic dental procedure available. Like any other tooth whitening product, Zoom Advanced is not recommended for children under 13 years of age or pregnant or lactating women. An 8_- shade improvement in a recently done case, by Dr. Suprriya B Bhatia in just one hour using Zoom Advanced in her clinic. 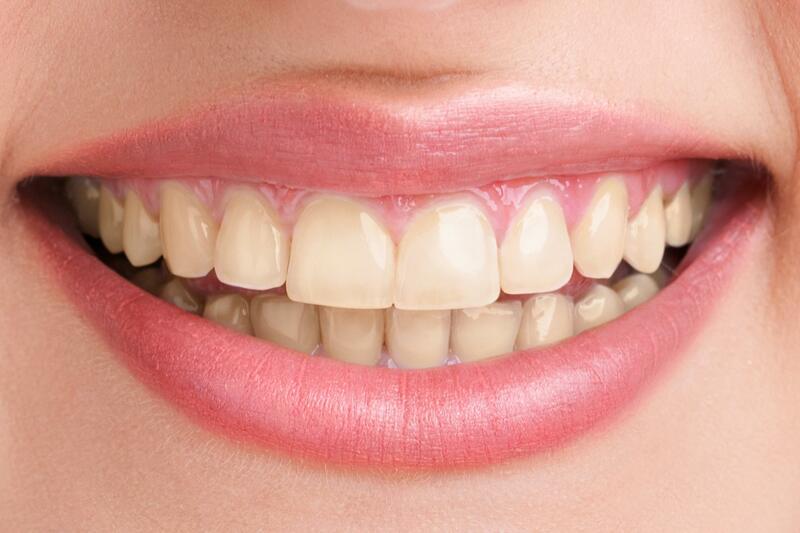 What is the Zoom teeth whitening procedure? Zoom is a technique for bleaching the teeth. By surface oxidation the discolouration on enamel and dentine gets lightened. How is tooth discolouration caused? Tooth discolouration can occur due to several reasons including drinking too much tea, coffee, smoking cigarettes, chewing tobacco and so on. These drinks or foods react with the enamel of the teeth and cause discolouration if the patient does not brush properly. Whilst internal tooth discolouration is caused by, ageing, consumption of drugs like tetracyclines during pregnancy, and excessive fluoride. Who can benefit from the Teeth whitening process? Everyone will have some improvement in the shade of their teeth when they go for teeth whitening. Zoom teeth whitening in Delhi is becoming a popular procedure. Everyone desires a bright sparkling smile. It certainly increases the confidence of a person. Is teeth whitening in delhi a safe procedure? Extensive research and clinical studies indicate that whitening teeth under the supervision of a Dentist is safe. There may be one, short lived side effect of this procedure - which is sensitivity to hot and cold for just 24 hours. This is countered by the use of a medicated toothpaste. _This procedure, or indeed any teeth whitening is not recommended in lactating/pregnant women and in children under 13 years of age. Your teeth will always be lighter than they were before, if you follow some simple post procedure instructions i.e. brushing twice, flossing, and occasional touch ups with Zoom weekender and night white gel. Your Dentist can help you to keep your teeth the brightest with some special Formula products. These are only available with your Dental professional. What is the mechanism of action of Zoom In office system? Hydrogen Peroxide is the active ingredient in Zoom light activated gel. As the hydrogen peroxide gets broken down, nascent oxygen gets released. This penetrates the enamel and dentin and leaches the coloured substances. The structure of the tooth is not affected. The Zoom light helps in the activation of hydrogen peroxide. During the Zoom in office procedure, what does the patient experience? Patients can watch television, You Tube, or listen to music while having the procedure. However, if a patient has a gag reflex or anxiety, they may have difficulty undergoing the procedure. How long does the Zoom in office teeth whitening take? The Teeth Whitening procedure takes less than an hour. There is a protocol for preparation of the teeth, and isolation of soft tissues. Then the patient has three cycles of 15 minutes each. A cleaning prior to the Zoom procedure is recommended. There is only one short lived side effect i.e. sensitivity. In the few patients there may be sensitivity/ mild tingling during the procedure which disappears after the procedure is over. In others, the sensitivity may last for a maximum of 24 hours. Any sensitivity is taken care of by a medicated anti sensitivity toothpaste and mouthwash, which is provided as part of our protocol. Excellent work Dr. Suprriya, My teeth are 7- 8 shades whiter. The visit and your office are extremely professional. Great speaking with you also, my thanks to you and your team.